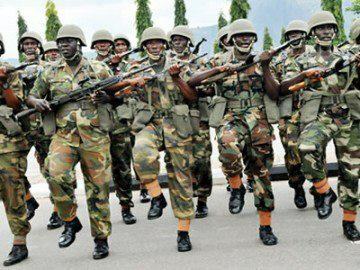 The Nigerian Army has alerted residents of communities in Bassa Local Government Area of Plateau State of a scheduled training programme for officers and soldiers, which will commence on Tuesday, July 8 and end on July 23, 2014. A statement from the Army Public Relations Unit of 3 Division, in Rukuba, near Jos, said the programme involves sporadic movement of personnel and equipment. The statement, which was signed by Deputy Director, Army Public Relations, Col. Texas Chukwu, said: â€œIn line with Army Headquarters (AHQ) training directive towards excellent military professionalism, 3 Division headquarters of the Nigerian Army will be conducting its 2014 Annual Range Classification. â€œThe exercise is meant to test the ability of officers and soldiers on weapon handling. During this period, there will be sporadic movement of military personnel, vehicles and equipmentâ€.